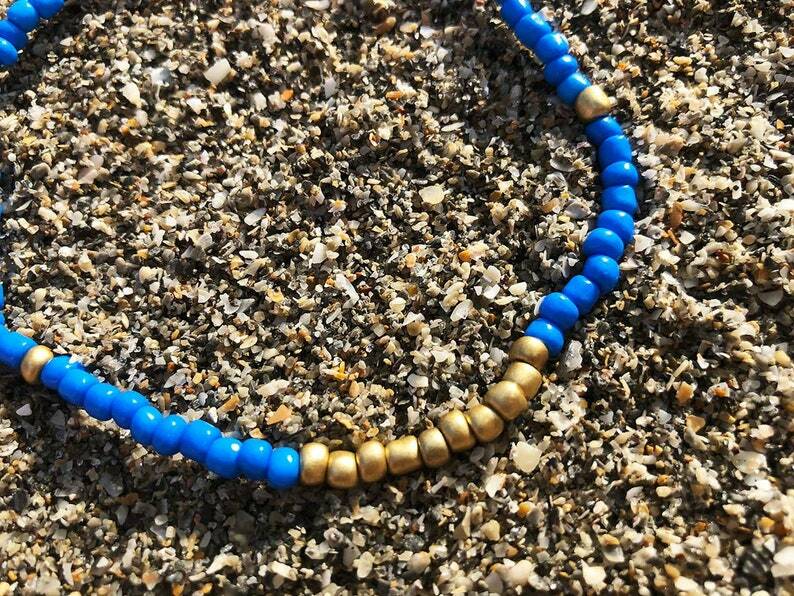 This beautiful ankle bracelet was made using 2 different Czech glass bead colors: lapis blue and opaque gold. It is strung on sturdy elastic cord for a secure and comfortable fit. Wear with my other beaded ankle bracelets for a layered look. Perfect to wear to the beach with your favorite bikini or on a night out with your favorite outfit.